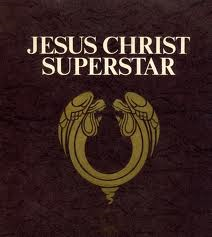 As you may recall, during Lent, one thing I do is to listen to “Jesus Christ, Superstar.” The rock opera is entertainment, not scripture, and tells the story of Jesus final week from the perspective of Judas Iscariot, the betrayer. Although Tim Rice and Andrew Lloyd Weber took significant artistic license, I believe the Holy Spirit takes every opportunity to speak the truth to us. Besides, some stories are just so awe inspiring that the true message comes through no matter what. The play begins with Judas singing “Heaven on Their Mind” which starts with the following lyrics. “My mind is clearer now; At last I can see where we all soon will be. I was always uncomfortable with the reference to Jesus as being part myth, and didn’t like these particular lyrics, until I had another thought. Matthew, Mark and Luke all relate how Jesus asked who people thought he was. Jesus then warned them to tell no one that He is the Christ, at least not until after his resurrection. Judas was never given the faith to believe in Jesus. I don’t think he ever could realize that Jesus was in fact the Messiah. He, like many others, wanted a Messiah who was a great leader in the manner of Moses, Joshua or David. In Jesus, without faith, Judas could only see an itinerant teacher with an interesting message. To Judas, Jesus divinity could only be myth. It makes me think of how blessed we all are who have been given Faith and been able to see the truth so easily that we take it for granted. This entry was posted in Arts, Celebrity, Communications, Culture, History, Leadership, Media, People, Philosophy, Religion and tagged Andrew Lloyd Weber, Caesarea Philippi, Christ, Holy Spirit, Iscariot, Jesu, Jesus Christ, Jesus Christ Superstar, Judas, Judas Iscariot, Superstar, Tim Rice. Bookmark the permalink. My children and I are huge fans of Godspell – the other rock opera gospel. The question of Judas and predestination is one that will never be answered on earth.